Director-editor relationships play a significant role in bringing out a finished film in terms of technique perfectly matched between the former’s perception and the latter’s execution done in an ambience of creative harmony. Director David Cronenberg and editor Ronald Sanders have worked together since 1979. Director Marc Forster worked with editor Matt Chesse on several films, including The Kite Runner, Finding Neverland and Monster’s Ball. Editor Joel Cox worked with director-actor Clint Eastwood for more than 30 years. Thelma Schoonmaker has been Martin Scorsese’s go-to editor since 1980’s. Brothers Joel and Ethan Coen have been collaborating for decades. Among Indian parallels, we have Hrishikesh Mukherjee who edited almost all Bimal Roy films till he went away to direct his own films. Ramesh Joshi was a must for director Ritwik Ghatak. But the most outstanding relationship between a director and his editor that has sustained through 36 years till the former’s demise is that between Satyajit Ray and his editor Dulal Dutta as the director grew from complete anonymity to international fame. Born in Chandannagar in 1925, the first film Dulal Dutta saw was Wadia Movietone’s Hunterwali at Suchitra theatre in Behala. “The crowd was so uncontrollable that by the time my friends managed to get me a ticket, my shirt was in tatters and I stood in my banyan and dhoti. But the film was amazing and perhaps changed my life in a way I did not even realise,” he said in a long television interview some time before his passing away. In 1942, he ran off to Bombay with his salary of Rs 30. “I spent Rs 21 on the ticket and with the money that was left, managed to survive on roasted peanuts for a few days and slept on the platform at Dadar station,” he recalled. He met make-up man Kanailal Mitra who took him to meet filmmaker Surendra Desai. Desai pushed him into the editing room of Ranjit Movietone and asked the editing team to let him observe them at work till the editing was complete. After he returned to Kolkata, film editor Ardhendu Chatterjee introduced him to the legendary editor Ramesh Joshi at Bharat Lakshmi Studios. 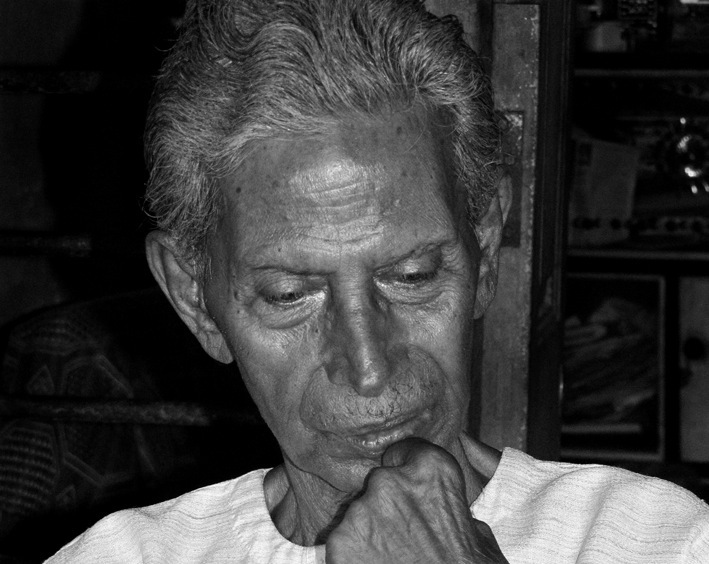 Joshi was Ghatak’s regular editor for some of his best films. Dutta learnt from scratch – dusting the tables in the editing room, cleaning the scissors to be used for cutting the film, cleaning the splicing tools and so on. His independent debut came with Satyen Bose’s Paribartan (1949) followed by Borjatri (1951). In 1950, he assisted Ardhendu Chatterjee for Kanan Devi’s Mejdidi (1950). Then came Debatra (1955), Asha (1956) and Andhare Alo (1957), all produced by Kanan Devi. He edited both visuals and sound for Tarun Majumdar’s Balika Bodhu and Ray’s Chidiakhana in 1967. Dutta edited all of Ray’s films, from Pather Panchali to Aguntuk. In Nayak (1966), Arindam (Uttam Kumar) watches Aditi (Sharmila Tagore) tear off the interview she had earlier taken. He is surprised.”I will keep it in my mind,” she tells him. She puts on her glasses and moves out. The camera cuts to a long shot of the compartment’s corridor through the pantry’s exit. Arindam steps out of his coupe, suitcase in hand and approaches the door. The cut to show Sharmila putting on her glasses and moving out slowly, cut to the long corridor was the editor’s creative imagination at work. “I was a bit apprehensive about how Manikda would react. When we were seeing the rushes, I told him I had thought of cutting the scene in a particular way. He told me to go ahead. I had already made the cuts and splices and kept my alternatives ready to show Manik Babu. When he saw the results, he said, – this is precisely what I had in mind,” said Dutta. In Some Aspects of My Craft (1966), Ray wrote about the alternative assemblages Dulalda would put together for him.“These offer endless variations of emphasis, unlimited scope for pointing up shades of feeling. It is not unusual for an important dialogue scene to be cut in half in a dozen different ways before a final satisfactory form is achieved,” wrote Ray. Under Ray’s close supervision, Dulal Dutta developed a cutting style of great economy, yet one that revealed the poetry of the content. Akira Kurosawa said,“his work can be described as flowing composedly, like a big river.” Dutta’s editing skills are most apparent in scenes of dialogue, such as the picnic and memory game in Aranyer Din Ratri (1969). In Nayak, in the scene where Uttam Kumar as Arindam the top actor, is getting buried under a sea of notes is a model lesson for any editor at any phase of his career. In a recent interview to journalist Partha Mukherjee, Dulalda said,“There were times, when even days after signing our expense vouchers, we remained unpaid. Yet, Manikda’s company and brilliance would compensate for every loss. Money could never have lured me to join Merchant Ivory Productions, because being away from Manikda was not even an option. We would give it all up to be with him. For us Satyajit Ray is the only icon after Rabindranath Tagore.” But he died a sad man, alone and in penury, perhaps wondering whether his decision to work with money being the last priority, had been the right one. Dulal Dutta passed away on August 17, 2010 in Kolkata after a cerebral haemmorage he suffered in his home and died at the RN Tagore International Institute of Cardiac Sciences where he stayed on for a week.